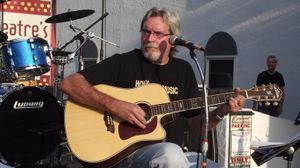 The elder statesman of the band, and pretty much lifelong resident of Pensacola, started with acoustic but decided he liked the terror of tube amps and electric guitars. He had his singing debut in the church choir, but opted out for Ozzy. 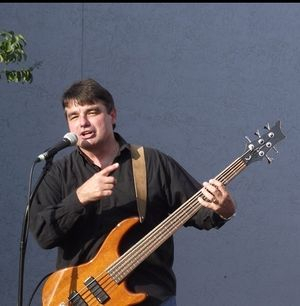 Over the years, he has played solo and with various bands, including the Madre Fookers, a/k/a the No Rules band. His motto has always been "Play it Like You Mean it." Tony plays Craviotto Mahogany/Maple Drums with Meinl Byzance Cymbals. Immigrated from Panama City, FL. David plays a 5 string LTD D-5 bass with 5 piece mahogny/maple neck, merbau body and ESP SB-5 pickups and 3 band active eq. He plays through a Galien-Kruger (GK) Backline 600 through 2-15" Bass cabinets.